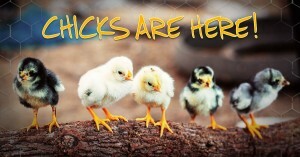 Baby chicks will continue to arrive at Bar None Country Store for the spring in March and into April. 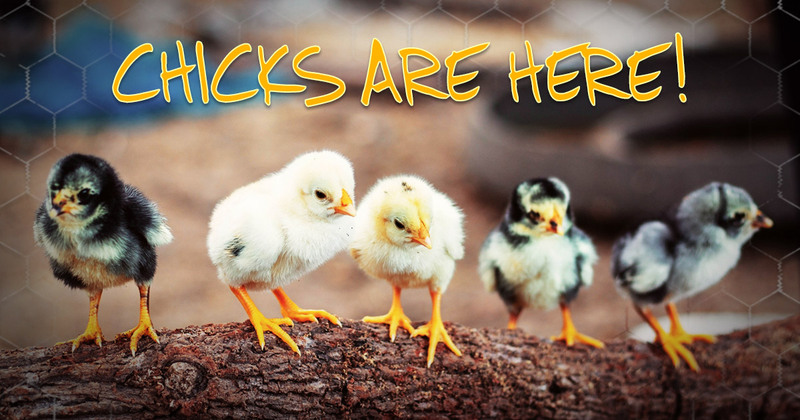 We have everything you need to care for your flock too: chick starter, heat lamps and bulbs, feeders, waterers and much much more! Here are our the rest of the expected delivery dates and breed information from the hatchery. All dates are subject to change based on breed hatch dates. This entry was posted on Thursday, March 2nd, 2017 at 8:57 pm	and is filed under News & Updates, Poultry. You can follow any responses to this entry through the RSS 2.0 feed. Both comments and pings are currently closed.